So I have now wrapped up all but one of the tasks I need to do for my old employer. My desk is nearly clean — the drawers hollow and coveted office supplies reallocated back to the central office supply location. My code is checked in. My documents backed up. I’m done. I’ll come in tomorrow to do a little more knowledge transfer, and that will be the end of my 7.5 year tenure here. This job has been such a long position for me that it’s very hard to imagine not being responsible for those things I’ve always been responsible for. It’s difficult to conceive of just walking away from the tasks and people and locations that have been mine for nearly my entire adult life. I find it hard to fathom not driving this drive, walking up the stairs, lurking for the mail, or changing the water on the water cooler. How will the plants I have nurtured for 3/4ths of a decade survive when I am no longer here to water them? It has become not my problem. I was always very careful, in my professional life, never to claim that things were “not my problem”. It goes against my own personal training to, with great intention, turn my back on the consequences of my departure (past the reasonable point, of course). But there you have it. Tomorrow, I will turn in my keys. I, the only one who didn’t lose her mail key. I, the one with the server room key and the original card that opens the back door, when all newer cards do not. I will hand over this fob, this object that has inhabited my pocket every week day for longer than my eldest son has existed. I will pass it out of my hands, and know it no more. I’m an extrovert in a nearly silent office with lots of quiet, heads-down programmers. Hours can pass in our office without a word being spoken. So in order to not go crazy, I have long wandered the halls of the historic old mill that houses our office. I visit restrooms floors away. I check on the mail hours before I know it will come. I answer phone calls while pacing uneven wooden floors. I’ve gotten to know well the other wanderers. My farewells to them have been almost as wrenching as those to my colleagues. The building manager had tears in his eyes and a tight grip when I told him I was leaving. People who have made up the casual cast of characters of my life are being set aside, to be met no more. Those I know the least, the shadowy figures, will never even be told that I am leaving. That an extra in the film of their lives is walking off the set. Through bare branches I watch the Merrimack hurrying past, on its way to the sea. Construction has not yet closed down the old iron bridge, although it will soon. 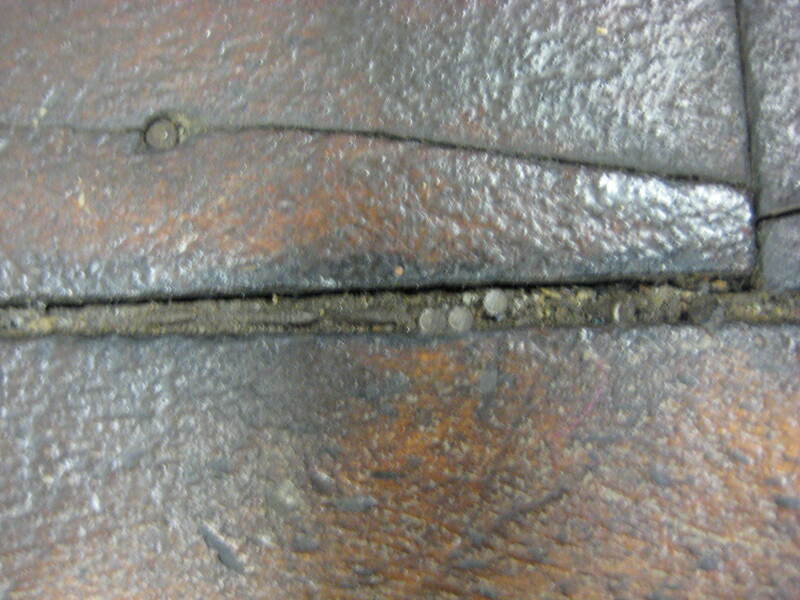 The floor under my feet is studded in the interstices between the boards with hundred-year-old cobbler’s nails, relics of the days when greater labors were done here. This place has known me through four pregnancies, two long springs and summers of pumping in a cold server room, heart break, headache, and cheerful Tuesday mornings. I have known it through flood, hot summer, changing walls and brittle winter chills. I know how the puddles in the parking lot ripple, even when there is no wind. I remember walking an empty cavern of a warehouse, calling the doctor for my first ever pregnancy visit. That cavern is gone, filled with refinished offices. I consulted with the owner on the colors of the walls, and discussed the filling up of the old building. Here have I wandered, but no more. Here my feet know well the routes, my eyes note quickly the smallest changes. I greet strangers with the confidence that I can help them find their way. I watch the ebb and flow of the seasons across the mighty river. I had one of the scariest 5 minutes of my life on Thursday. I have failed to mention it because, well, I went camping and it faded into the background. It was a typical last-day-of-the-week when I finally headed out the door to go pick the boys up from daycare. As I turned onto their street, I saw the flash of lights ahead. No big deal. There’s always quite a police presence in Lawrence, and daycare is right next to an ambulance dispatch facility, so lights and sirens are extremely common. As I got closer, though, I noticed that the lights were largely blue. And that there were a LOT Of blue lights. Closer yet, and I discover the entire block is sealed off by cop cars, lights blasting. Six or seven cop cars. Sealing off the block where my sons are in daycare. I start to panic but reason that it’s a long block — it could be anything. The closer I got, though, the closer to daycare the center of the action seemed. By the time I got to the barricade, I was in full-out panic. I thought of all the horrible things it might be: a drive by shooting, a terrible accident, a murder. It could be my sons. They could not be ok. I hastily parked the car and ran (in unseemly for running shoes) to the nearest police officer I could spot. I explained to his back (he was watching ahead) that my SONS were up the street at the daycare. He waved vaguely at the other side of the sidewalk and told me I could walk to get them. About halfway up the street, I spotted their daycare provider, on her front porch with all the other gawkers. She waved at me, dandling Thane on her knee. I took a deep, deep breath of relief. My boys were ok. Shaky, I went to claim them. She had no idea what was going on either. I nervously escorted my sons back down the block to the car, hoping that the fact the police hadn’t shooed the passers-by meant that they weren’t expecting a shootout anytime soon. My hands shook as I clipped them into their carseats. I momentarily contemplated taking a picture of the fuss, but decided that was dumb. Police don’t block off entire city blocks for parking infractions. One of the strange things about our modern era is that you never know what will make a big stir. The cops arrest one guy in Cambridge for (they say) throwing a fit and it makes the national news for like a week. 10 cop cars barricade a block in Lawrence, and it might disappear from the record without mention ever being made. I wasn’t sure if I’d ever find out what all the hubbub was about. I did finally find out. A teen mom and two male thug/accomplices went to her baby-daddy’s house and drew a gun on him, threatening to kill him if she didn’t give her the child, who she then made off with. Police said a woman, 19, showed up at her ex-boyfriend’s Canal Street home Thursday night with the three men. “Give me my kid or they’re going to kill you,” Santiago allegedly told Elvin Rosado, as two big men loaded and pointed guns at him and a friend. She lived in the house the police were surrounded. Apparently they were waiting for her? (What fugitive from the law is like, “Gee, there’s a jillion cops surrounding my house. Guess I’ll go check my mail and and then see what they want!”) It ended not-tragically, with her showing up at the police department with the child in tow. It was serious. There were deadly weapons involved. A child was in danger. But it wasn’t a drug bust or something that makes me scared for the neighborhood. It also comes close. I’ve seen that child’s toys in the trash on the curb on Mondays, as I walk to daycare. I’m quite sure I’ve seen the kid, even if I don’t remember. (On nice afternoons, the entire neighborhood is usually out on the front porch.) And it’s very hard to get over that moment where you wonder if your children are dead or in danger, and whether you’re 15 minutes too late to save them. I’m very, very grateful this was a false alarm, and hope never to come so close to any alarm again. The other day I took my camera with me as I walked to daycare. On that one mile, I pass through and past so many different stages of Lawrence: the historic 19th century mills (and bridge), the renovated future with offices and transportation centers, the incredibly depressed and depressing present of boarding houses and neglect, and the remnants of a modest suburban immigrant town. I’ve created this album so that you can walk with me. I work in Lawrence, Massachusetts right next to the Merrimack River. In fact, I can see the water from where I am sitting right now (although my view is now obscured by foliage). In this stretch of Lawrence, there are four bridges over the river. There’s the freeway bridge that 495 uses. There’s the “Duck Bridge”, a green metal 19th century construct which is right next to us. Then up river there are two more bridges, the nearest of which is currently under construction. For the last two weeks, the Duck Bridge has been out of commission while they do some utility work on it, which has involved digging up the approaches and making lots of holes in the road. This has impacted me greatly. You see, daycare is on the other side of that bridge, almost exactly a mile away. I have had to drive around the bridge, but due to construction and traffic and lights etc. the bridge outage has added nearly 10 minutes to my “in Lawrence” commute. I usually go see the boys during lunch, but it has been taking prohibitively long to drive there so I’ve started walking. This has actually been lovely — to get out and get exercise. My only concerns are that it takes longer than I usually schedule, and I’m really not walking through the nicest parts of town. In particular there’s what can only be described as flop house that I pass. I’m careful to stay alert and not carry anything of value. But the exercise has been nice. Another effect has been that there’s construction right outside my window. I could live without the jackhammers, but it’s been fascinating to watch them work. Construction workers are amazing with their big machines. The other day I watched this guy with a digger use it to pick up two construction cones and move them. I can’t believe the dexterity with which they use their machines, as though they’re extensions of their bodies. It’s very interesting. The bridge is supposed to reopen this weekend, for now. But I’m informed that next year they’re going to totally rebuild the bridge. It certainly needs it. But it will be out for THREE YEARS at that point. I’m going to be severely impacted. Ah well. Maybe it will result in me getting more exercise! Usually at lunch I head across the bridge to daycare. It’s maybe a mile and a half. Four stoplights. It takes longer than you think it should, but I get to daycare in under 10 minutes, spend 15 minutes with the boys and head back. It’s a nice interlude in my day. On Monday, they closed the bridge for repairs. I can’t really argue. It needed it. The bridge was built in the 1800s and is made out of a metal mesh. You can see under your tires to water — by design. It wobbles when you cross it. It’s hardly confidence-inspiring. It will probably be closed for a month. 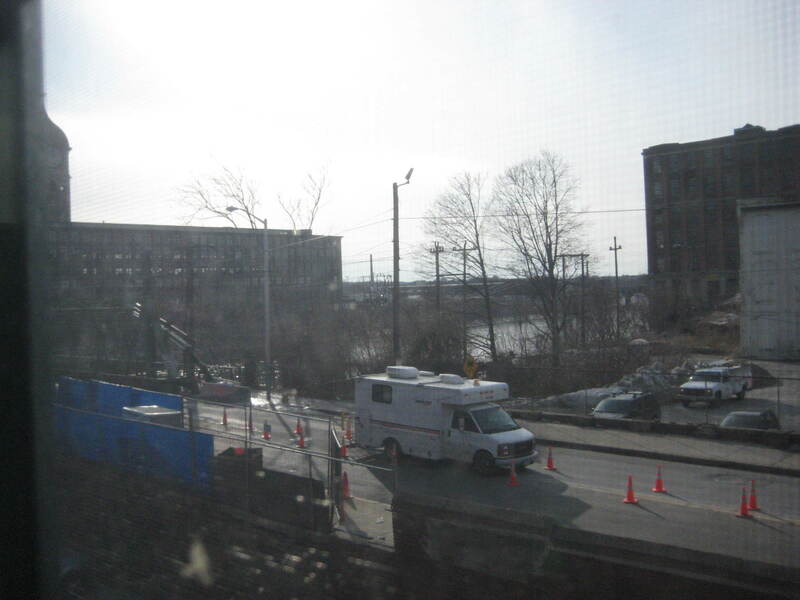 Right now I have a great view of the construction and there is a very large hole in the approach to the bridge. Your stimulus dollars at work. This is all well and good, but it makes that trip to daycare longer. This is compounded by the fact that the NEXT bridge up the river is ALSO under construction and has been for ages. This I consider to be bad planning. Finish one first THEN move on to the next bridge. So what do I do at lunch? 1) Walk to daycare. Tempting in the nice weather. Will take longer than the budgeted amount of time. 2) Drive to daycare. I’m trying various alternate routes to see which one is least obnoxious. 3) Use lunch to go check out preschools. This is probably what I should do instead of hanging out with my three year old peeps. I keep deciding to do one. Then changing my mind. Then changing it again. I have half an hour until it’s time to go, and I still have no idea which one I’m going to do! I’m working on this query that has so far taken 25 minutes and isn’t done yet. (Which would be why I’m working on it.) I wonder if it will be done before it’s time to go! Working on performance always takes forever because every time you test it, by definition it takes a long time! And the query took 38 minutes and 33 seconds. While it was running I rewrote it. It now takes less than three seconds. I could probably file it down further if I spent some time on it.